Andropause and menopause treatment are both extremely important options that should be available to men and women as they age. 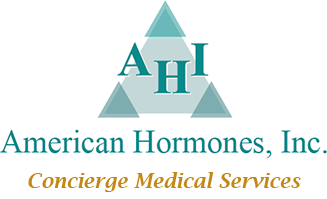 AHI uses bio-identical, natural hormones to treat both conditions, ensuring that all of our customers are allowed to enjoy the greatest degree of comfort in their own bodies, regardless of their age. Our hormones allow you to treat symptoms such as fatigue, hot flashes, night sweats, mood alteration, weight gain, and decreased sexual function. 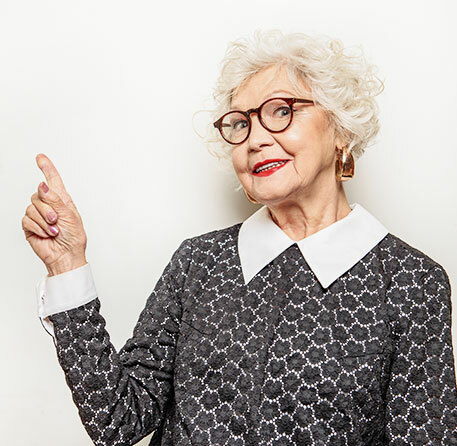 Our healthy aging therapies are an alternative to the synthetic hormones found in most estrogen, progesterone, testosterone, thyroid, and DHEA treatments. Estrogens are hormones produced by the ovaries that decline as the body approaches menopause. Replacing estrogen prevents bone loss and is still the most efficacious treatment vs. drugs, provides cardio protection, and improves skin, wrinkles and hair. Also improves cognitive function, libido, and fatigue. Progesterone is used by the body to balance the effects of estrogen as part of the reproductive cycle. Deficiency may result in PMS, bloating, headaches, cramping, mood swings, breast tenderness, and irritability. Our progesterone is available as a capsule, cream, or rapid-dissolving troche. Thyroid medication can correct deficiencies of thyroid hormone and return you to optimal levels. Use for general fatigue and energy. Effects often seen from DHEA are based on its ability to stimulate protein synthesis from the cell, which in turn may result in an increase in cell regeneration. It should be prescribed in a sustained release, micronized form. As testosterone declines with age, there are health and appearance problems that accompany this loss. Testosterone replacement improves fatigue and muscle strength. This is available as a cream, capsule, and rapid-dissolving troche. Testosterone helps control a woman's libido, helps with fatigue and also may enhance the functions of estrogen. Choose from cream, capsule, and rapid-dissolve troche or vaginal application. Melatonin helps regulate the rhythm of seep and assists in you sleeping more soundly and improving the function of your immune system. This should be prescribed in a sustained release, micronized form. This is a solution for hair loss. Minoxidil dilates small blood vessels and, when applied to the scalp, may stimulate hair regrowth. Finasteride inhibits the enzyme responsible for conversion of testosterone to DHT. The drug may decrease DHT's effects on the hair follicles, potentially revising the process of hair loss. Your prescription may also include CoQ-10 to further reduce DHT in the hair follicle. This can be customized with these ingredients in any combination by request. A pharmacist is always available to answer questions and formulate an exact prescription for your patient. This is a substitute for oral metformin that bypasses gastro-hepatic circulation. This prevents any GI symptoms and other side effects related to oral metformin. Standard dosing is between 100-200 mg/ml. This cream is for facial use to reduce wrinkles and fine lines. We also offer a full range of supplements for our patients. Many of these are available without a prescription. Feel free to inquire about our supplements. Alpha lipoic acid is a highly versatile and effective intra- and extra-cellular antioxidant. Because it is water and fat soluble, it can enter all parts of a cell to neutralize free radicals. These natural fatty acid fish oils have abundant molecules of EPA/DHA that may help prevent aging of the cell and DNA regeneration. Our formula is mercury- and PCB-free. Niacin is used in lipid control to decrease triglycerides, increase LDL, and decrease total cholesterol. It is a natural alternative to statins. The recommended daily dose is 500 - 1000 mg in a sustained release form. Our comprehensive formula offers enhanced antioxidant protection, broader trace element nutrition, and augmented B-vitamins support. This formulation contains various minerals in appropriate doses. USP protocols ensure dissolution in 45 minutes or less for immediate bio-availability.